Description: This is a light body whip, formulated with those with sensitive skin in mind. 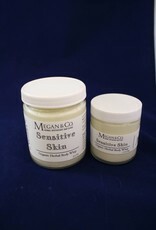 The properties of this formula, historically have shown to be hydrating as well as wound healing for the skin. This product contains no essential oils and is considered safe for children.